Dr Lorna Srimathie Dewaraja, the brilliant historian of repute who did not receive the recognition that she rightly deserves in her life time for her contribution to the Muslims of Sri Lanka should be engraved in their hearts and minds for her contribution with her luminous academic research and publication, “The Muslims of Sri Lanka – One thousand years of ethnic harmony- 900 to 1915 first published in 1994. Jazeema Ismail, an icon of the modern day Muslims quotes a point made by a one-time Minister of Foreign Affairs, A.C.S. Hameed, “Historians have traditionally been attracted by wars and rebellions whereas the peaceful co-existence of groups of people over long periods tends to be overlooked”. He goes on to say “in the history of Sri Lanka few are aware of the harmonious relationship which had developed between the Sinhalese, its indigenous inhabitants, and the Muslims who initially were foreigners, and that both have lived together peacefully for over a thousand years. Perhaps because it was such a peaceful relationship it has passed unnoticed by the historian. As the respected late A C S Hammed states in the foreword to the book “unlike in India where Islam made its entry as a conquering proselytising force, in Sri Lanka it appeared as the personal faith of a peaceful trading people who in course of time earned the goodwill, confidence and trust of the indigenous people. Buddhist ideals of tolerance and accommodation too were contributory factors. Besides, there was hardly any economic factor that could have caused conflict. Therefore Muslim integration into Sinhala society proceeded at an even pace for which there are few parallels elsewhere in the world”. Work of Mohideen Beig, his songs highly appreciated here. Yes Mohideen Baig’s haunting melodies , including ones commentating Buddhism, will always remain evergreen.We must also not forget A J Careem too. Thank you for bringing up the Book by Dr Lorna Srimathie Dewaraja, the brilliant historian of repute. Need to keep reminding that the Sinhala are Para, as far as the Natives of the Land are concerned. Not only that, it should be clearly pointed out that the Sinhala, Tamils, Muslims and oythers ater Paras in the Land of Native Veddah Aethho. If the Sinhala or Tamil Paras have a problem, they should get back to South India where they came from, and leave, Lanka, the land of Native Veddah alone. Amsazon says not currently available. Do you know who sells? I found a pdf link. Muslims in Sri Lanka undoubtedly have a long history often overlooked by many. Therefore, Dr. Lorna Dewaraja’s book is valuable as Hilmi Ahmad has reviewed. As a primary source, I was also impressed by what Ibn Battuta said about the country in the 14th century, particularly of Sri Pada or Adam’s Peak. He reported the Muslims living in the country in his journey from Puttalam to the hill country and then returning back from the other way round via Dondra or South. Let me also pay tribute to Dr. Lorna Dewaraja who was also one of my history lecturers along with Dr. Lakshman (SU) Perera in my first year (1964/65) at University. 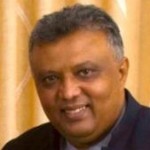 Have you had any contact with Prof Lakshman Perera recently? No, unfortunately I haven’t had any contacts for ages with Prof. Perera. In fact, I have met him only twice after my first year, once in London when he was at the Commonwealth Secretariat and then when once he visited Sri Lanka (University of Colombo)perhaps somewhere in 2000, I believe. He was a very good teacher. I learnt a lot on ancient Indian history from him. He was excellent in tutorial classes, critical and instructive. I haven’t spoken to him for about 7 or 8 years. The last time when I phoned him I was told he was not well for some time and was unable to speak to any one. I gathered that he was bed ridden and stopped calling him with sadness. I am sorry the name Mr Nagendiran does not ring a bell. Sir, Being influenced rather heavily by your photograph that regularly appears on CT I was under the impression that you were much younger.That’s until I saw your comment above , which incidentally states that you were in University in 63/64!! Nevertheless , being about 4 decades younger that you may I say that I read your articles and comments with much keenness for both their unbiased nature and much knowledge .Please keep up with your writings is my humble request . I learn that Dayan Jayatillke was one of your erstwhile students.I was therefore horrified to recall him refer to you in these columns some time ago by your first name.Being a man of learning I am sure you would have forgiven Dayan for this trespass in the belief that Black Sheep will always be there until the human race exists. Sorry, if the photo is deceptive. I am 69+, like MR or CBK! I was at the University from 1964 to 1968 as a student. Photo is a 2008 one. I don’t think I have a decent photo thereafter. Perhaps I am not much different externally (not internally!). Thanks for your nice comments. I did encourage my students to call me by my first name when I first came back from Canada in 1976. One may call it a Western influence! I don’t have any problem in anybody calling me in my first name. Minorities are loved until their numbers remain below 10% and then they start talking about “political rights”…. In general majority does not discriminate against the minorities; it is the minorities who always conspire against the majority. Still, this does not explain why some Muslims think that they are Arabs, dress and behave like Arabs. Much of the present animosity seems to result from this change in attitudes. So, it is not history that matters but present attitudes. Muslims in the past have had no problems in being accepted. Sivakumarn, what’s your problem how Muslims dress? Don’t you dress up like Englishmen with pants, shirts and ties? And also speak English and teach your children English. When did you last dress up your Amudae? Assuming you are an educated gentleman, may I say you that you are furtherest from the truth and indeed reality when you generalize in one sweep and say “the present attitude of Muslims”.Just as the lunatic fringe exitsts in every community so it is with the Muslims. However, a preponderant majority of Muslims live , work and coexist in the same way their ancestors have done for over a millennia in perfect harmony with the Sinhalese .I , as a Sinhalese Buddhist know this personally since my my village is one of many Sinhalese villages that sorrounds a very old standing muslim village that according to folklore had been established by King Senarath of Kandy in the 17th century, in recognition of the services rendered by them.They speak perfect Sinhalese besides Tamil and interact with us even when it comes to temple events as we do with them.I believe they followed this same policy in their relations with the Tamils in the North and East upto the time Prabhakaran drove them away in one lightning sweep in the 1990s..These unfortunate Muslims are supposed to still live in camps in areas such as Puttlam. Just as one swallow does not make a summer ,no single jihadist or Bin Ladin can influence our Muslims to act in a way that is contrary to their hitherto avowed goal of co existence with those of other faiths as they have done for so long in this land of our’s. I agree entirely, Old Kandyan. I qualified by saying “some Muslims”. As to Goraka, we all dress like our colonial masters. That is not much of criticism. Shucks! What sycophancy, What a bloody sham ! The writer is surely speaking for himself alone. Muslims need no Kings or Queens, crowned or uncrowned to rule over them. Their faith has no caste, creed or social divisions. It is based on the equality of mankind and subservience only to the Almighty in whose presence every subject is equal as he stands shoulder to shoulder in obeisance. Appreciation of personal favours done is quite understandable and glossing over of facts is to be expected within the Srilankan psyche. But to do so on behalf of an entire community and purportedly at their behest is nothing short of tom-foolery. In the late seventies, a former Muslim education minister resorted to this type of sychophancy at a political meeting in the up-country by comparing his political matriarch to the daughter of the Holy Prophet. And wasn’t he well rewarded when the offended crowd chased him off the stage with a barrage of slippers. I guess the writer needs to think twice about the coronation ceremony he is planning on behalf of the Muslims. The title is obviously used metaphorically .Please not the use of the adjective ” uncrowned “. In contrast, the comparison of Mrs B to the Prophets’s daughter, according to my Muslim friends, is tantamount to blasphemy. I ban batta, people like you are the ones providing ammunition to the extremists to attack Muslims. Just the use of a metaphor could make you blow up the way you do, imagine something more extreme. I have enough friends and I live in a neighbourhood where the majority are Muslims. I have never come across fanatics like you amongst the Muslims. I wonder whether you are one of those Buddhist extremists trying to create trouble for the peaceful Muslims. I am not trying to be rude to Dr Lorna Srimathie Dewaraja or author of this article Mr Hilmy Ahamed. Mother tongue of muslims in Sri Lanka is Tamil. (I lived in different parts of Ceylon). “Integration into Sinhala..” – it looks like he means Sinhalisation. Anbu, I have nothing to do with the publication or publisher. I have shown my appreciation of the wonderful documentation of Islamic co-existance during the Kandyan period. I agree, it should be in Tamil too. Lorna (and perhaps Jezeema) refer to the harmonious relationship of over 1000 years between the Sinhalese ( THE INDIGENOUS INHABITANTS ) and the Muslims. Yet, despite this the mother tongue of most Muslims( and the Malays)is Tamil. Why then does Lorna ignore the obvious Tamil/ Muslim relationship? This also, perhaps inadvertently, stirs up the eternal argument about the history and origins of the Tamils in Sri Lanka. There was one Mr.Mahendran in the History Dept. @ Peradeniya.I was told by one of his colleagues that he had collapsed whilst riding a push Bike in Jaffna.I was also told that he was a brilliant student topping the batch.He had chosen a difficult area for his PhD which no one else would touch even with a Barge Pole!Thus,he returned from Cambridge minus a PostGrad.degree.Later on he became very inward.He was not alone there were other brilliant folks as well. As,for the Muslims in SriLanka King Senarath of the Kandyan Kingdom has been quite generous to them.In Kandyan areas they were given GE names like waidyapittage Abdul Careem,Ralahamilage Marikkar etc.When cases are called up in Kandyan Courts on Land matters the parties had such names.The GE names had been conferred by the King. King Senerath also settled 6000 Muslims in the earlier Batticaloa region,in the 16th Century.The MUKUVA chieftains in the region made use of them to settle scores wth other caste groups and in return provided them with Tamil women.The present large concentration of Muslims in the Eastern Province is due to King Senaraths initiative. I am no Historian but all this has been picked up from the works of Historians a subject that fascinates me. NATIVE,I am now reading about your origins! i. As is well-known, The late Fr S.G. Perera though branded as a scholar and one who gave a Roman Catholic slant to all his writings, always presented wrong information on Sieur de Lanerolle to the reader. Posthumously, Drs James T.Rutnam, Sinnappah Arsaratnam and Sir Paul Pieris among many others presented the true facts on Sieur de Lanerolle, James T. Rutnam even wrote that there wasn’t a single writer, contemporary or otherwise, foreign or local who did not address de Lanerolle as Sieur (Lord), Monsieur (My Lord) , Cavelier, Ambassador, Envoy, Duc (M.W.Jurrianse), Nobleman and so on. 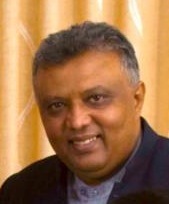 However, those who borrowed from or uncritically followed Father S.G. Perera like J.Dias Abeysinghe, Padma Edirisinghe who writes to newspapers, Fr Perniola and Professor Lorna Devaraja have in their writings down graded rediculed the French Ambassador and even insulted the family itself. Who is this Lorna Dewaraja? Is she an Ethnic Tamil ? Her name sounds Tamil or Is she of mixed ethnicity?? she sounds rather mixed up in her history writing. I read her book on the Srilankan Muslims which is nothing but a political propaganda and the contents of this book is a fabrication, half truths and distortions to say the least. The writer has rather foolishly made a vein attempt to distort the true ethnicity of the Tamil muslims of Srilanka. No wonder that is the reason despite 100% of the Muslims being Tamil speaking the book is not available in Tamil but only in English and Sinhala. This book and it’s author are highly suspect.THE book is full of distortions,the writer has written blatant lies for propaganda purposes and packaged it as a history book. I would use the pages of this book to wipe my arse as I value the toilet paper more than this book.